You can spin, wheel and twist, but this thing can turn without moving. What is it? 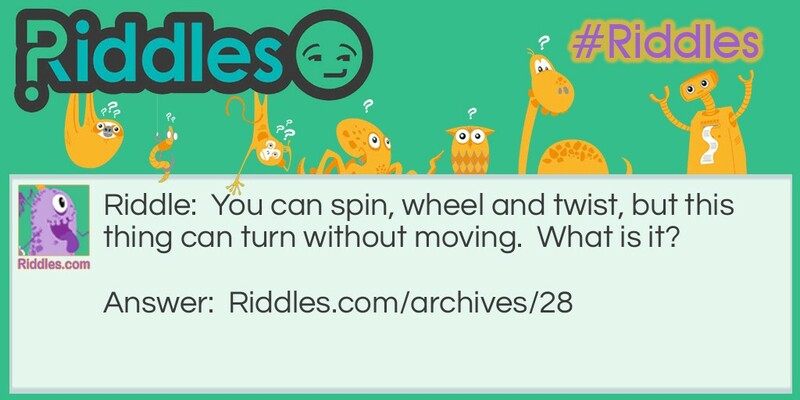 Turns without Moving Riddle Meme with riddle and answer page link.